Crime in Kenilworth, the outdoor pool, Castle Farm's future and recent issues with young people will all be discussed at next week's Community Forum. The forum will be held on Tuesday October 2 at the Senior Citizens' Club in Abbey End from 7 to 8.45pm, and the public are invited to attend. 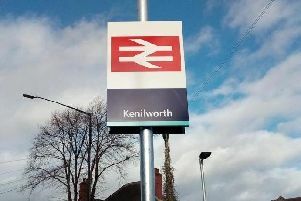 At around 7.05pm, Pc Anna Brown of Kenilworth's Safer Neighbourhood Team will give a talk on crime statistics in Kenilworth, as well as what the police will prioritise over the next few months. Then at 7.25pm, Rose Winship of Warwick District Council will talk about leisire centre plans for Kenilworth - which includes the future of Abbey Fields' outdoor pool and changes at Castle Farm. Kenilworth mayor Cllr Mike Hitchins will talk about the planned Young People's Forum at around 8pm, while town councillor George Illingworth will talk about HS2 and the town's Neighbourhood Plan soon after. Grant applications from the Kenilworth Arts Festival, Kenilworth Gang Show, Abbey Medical Centre, Kenilworth Community Action and Thorns Community Trust will also be discussed.